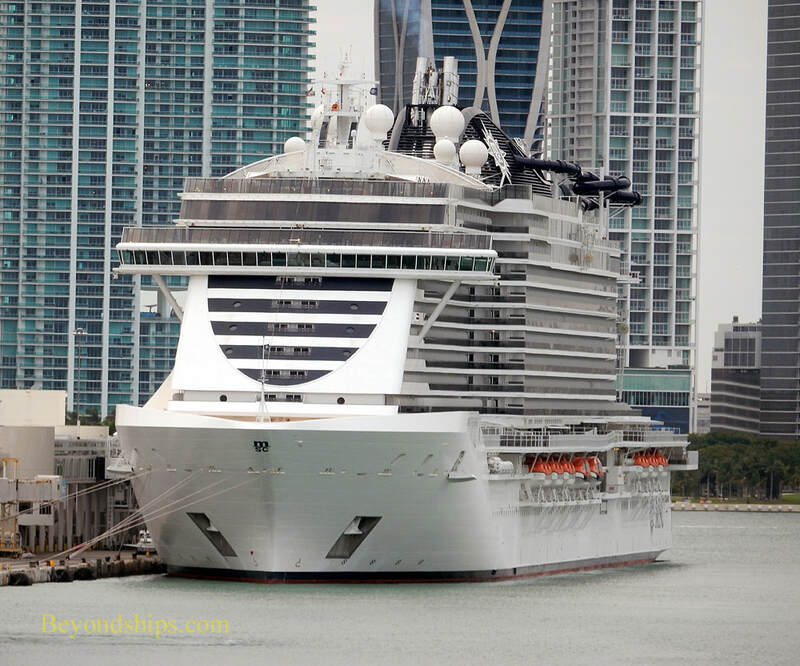 MSC Seaside is a large resort-style cruise ship. 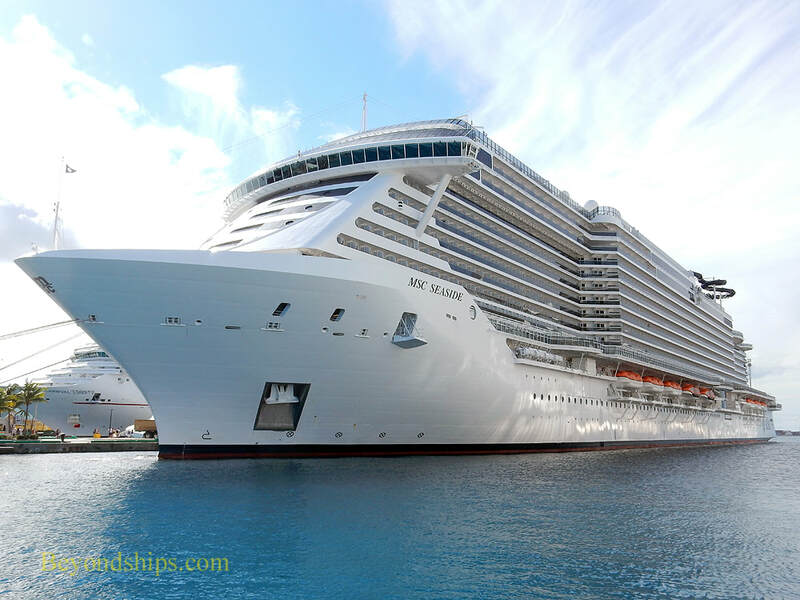 She is the sister ship to MSC Seaview. Although she has never been the world's largest cruise ship, Seaside was the largest ship built by Fincantierri at the time of her entry into service in 2017. 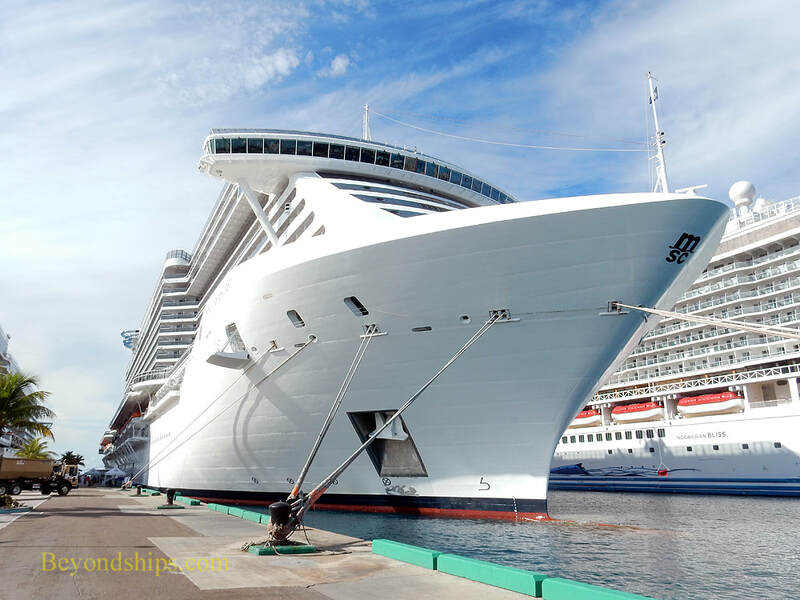 Inasmuch as Fincantierri has built many of the world's cruise ships, this fact means that Seaside is bigger than most cruise ships. Seaside is not merely a larger version of previous Fincantierri ships. Her curving lines and unusual aft superstructure distinguish her from traditional passenger ship design. Yet, the design comes together into a pleasing, if contemporary, whole. Highlights of Seaside include a wrap-around promenade with bars and outdoor tables for various dining venues. She also has a multi-story aqua park, a bowling alley and the longest zip lines at sea. More than 70 percent of the staterooms have balconies. 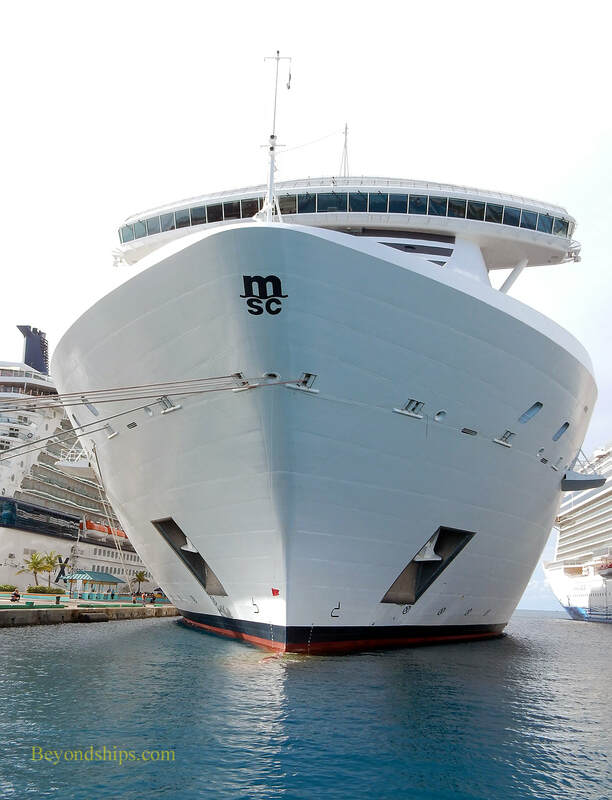 For those seeking a more luxurious cruise experience, Seaside has the MSC Yacht Club - - a suites area with its own exclusive facilities including a restaurant. The ship has a relaxed atmosphere. During the day, dress is casual and on most evenings, smart casual. On elegant evenings, jackets and dresses/pants suits are recommended. Seaside can carry more than 5,000 passengers, which is considerably more than comparable size cruise ships such as Freedom of the Seas. In addition, a high percentage of her passengers are European travelers. This is so even for the ship's North American cruises. 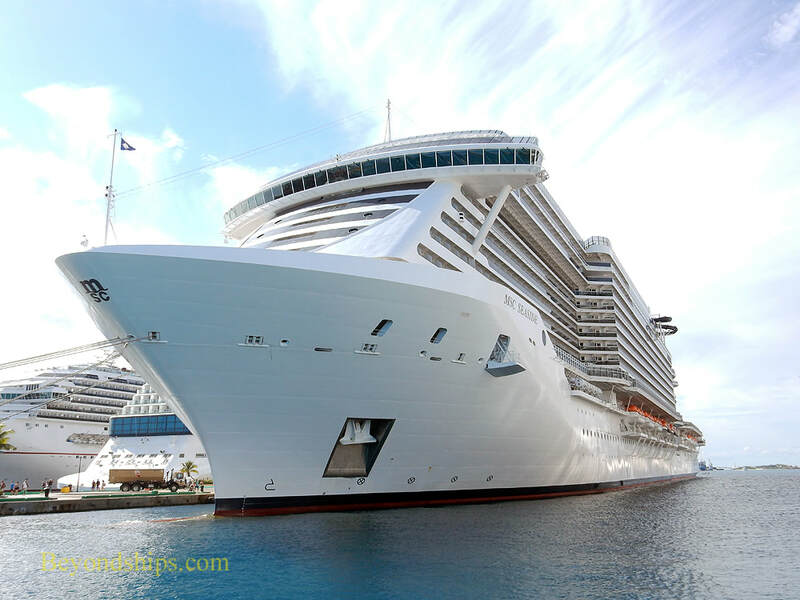 Naturally, the cruise line seeks to accommodate its clientele and so there are announcements in multiple languages and efforts to appeal to European tastes in dining. Because the passengers speak different languages, the entertainment relies more on music than on the spoken word. LENGTH: 323 meters, 1,059 ft.
BEAM: 41 meters, 135 ft. DRAFT: 8.5 meters, 28 ft.